Ponce ( ) is both a city and a municipality in the southern part of Puerto Rico. The city is the seat of the municipal government. Ponce, Puerto Ricos most populated city outside the San Juan metropolitan area, is named for Juan Ponce de Leon y Loayza, the great-grandson of Spanish conquistador Juan Ponce de Leon. Ponce is often referred to as La Perla del Sur (The Pearl of the South), La Ciudad Senorial (The Noble, or Lordly, City), and La Ciudad de las Quenepas (Genip City). 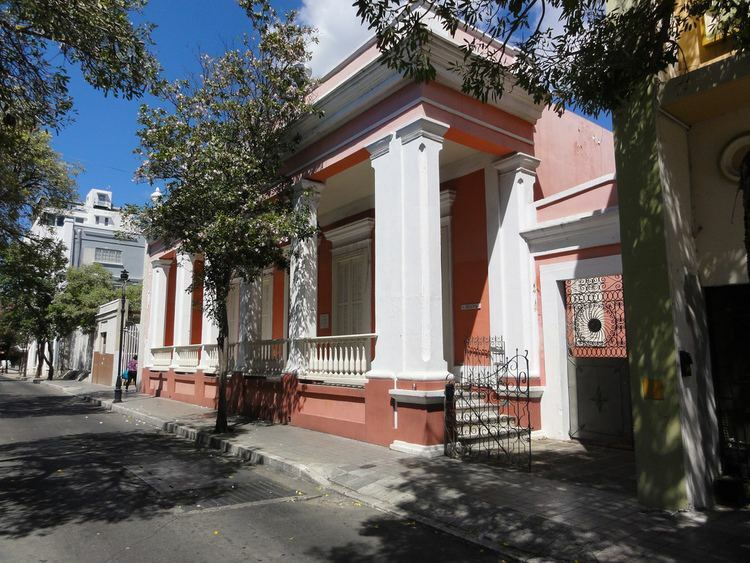 The city serves as the governmental seat of the autonomous municipality as well as the regional hub for various Government of Puerto Rico entities, such as the Judiciary of Puerto Rico. It is also the regional center for various other commonwealth and federal government agencies. The Municipality of Ponce, officially the Autonomous Municipality of Ponce, is located in the Southern Coastal Plain region of the island, south of Adjuntas, Utuado, and Jayuya; east of Penuelas; west of Juana Diaz; and bordered on the south by the Caribbean Sea. The municipality has a total of 31 barrios (wards), including 19 outside the citys urban area and 12 in the urban area of the city. The historic Ponce Pueblo district, located in the downtown area of the city, is shared by several of the downtown barrios, and is located approximately three miles (4.8 km) inland from the shores of the Caribbean. Ponce is a principal city of both the Ponce Metropolitan Statistical Area and the Ponce-Yauco-Coamo Combined Statistical Area. The municipality of Ponce is the second largest in Puerto Rico by land area, and it was the first in Puerto Rico to obtain its autonomy, becoming the Autonomous Municipality of Ponce in 1992. 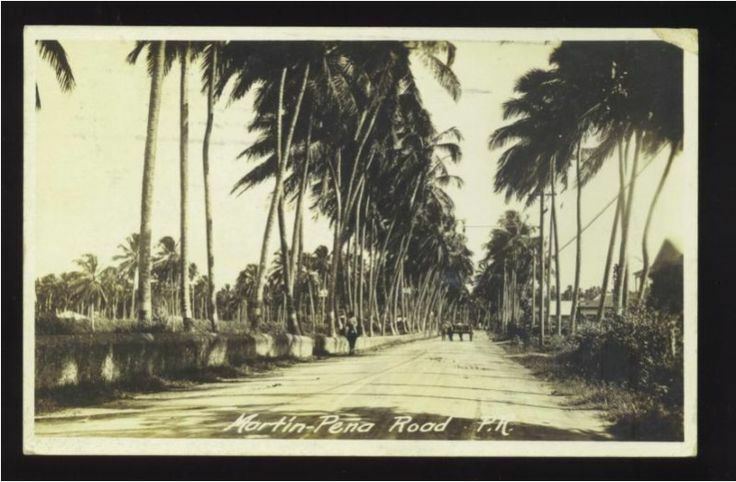 The region of what is now Ponce belonged to the Taino Guaynia region, which stretched along the southern coast of Puerto Rico. Agueybana, a cacique who led the region, was among those that greeted Spanish conquistador Juan Ponce de Leon when he came to the island in 1508. 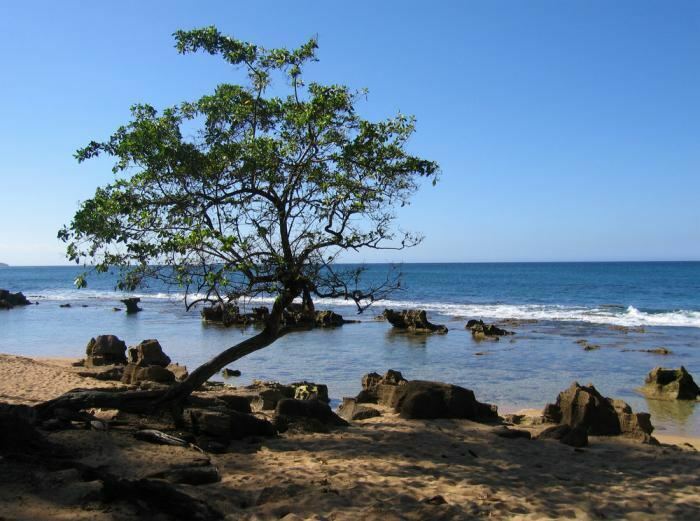 Archeological findings have identified four sites within the municipality of Ponce with archeological significance: Canas, Tibes, Caracoles, and El Bronce. During the first years of the colonization, Spanish families started settling around the Jacaguas River, in the south of the island. 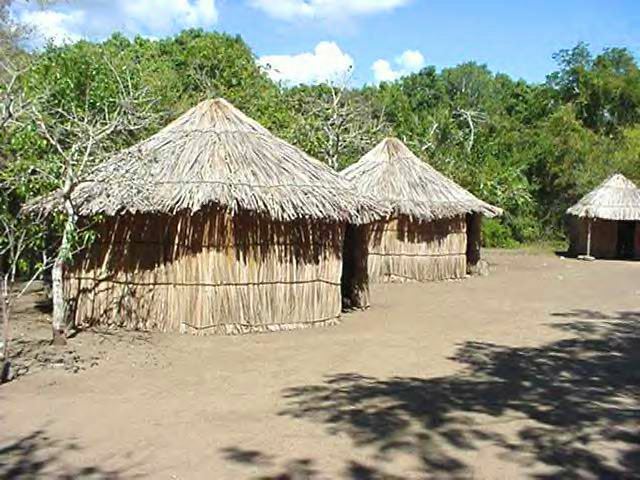 For security reasons, these families moved to the banks of the Rio Portugues, then called Baramaya. Starting around 1646 the whole area from the Rio Portugues to the Bay of Guayanilla was called Ponce. In 1670, a small chapel was raised in the middle of the small settlement and dedicated in honor of Our Lady of Guadalupe. Among its earliest settlers were Juan Ponce de Leon y Loayza, and the Portuguese Don Pedro Rodriguez de Guzman, from nearby San German. On September 17, 1692, the King of Spain Carlos II issued a Cedula Real (Royal Permit) converting the chapel into a parish, and in so doing officially recognizing the small settlement as a hamlet. It is believed that Juan Ponce de Leon y Loayza, Juan Ponce de Leons great-grandson, was instrumental in obtaining the royal permit to formalize the founding of the hamlet. Captains Enrique Salazar and Miguel del Toro where also instrumental. The city is named after Juan Ponce de Leon y Loayza, the great-grandson of Spanish conquistador Juan Ponce de Leon. In the early 18th century Don Antonio Abad Rodriguez Berrios built a small chapel under the name of San Antonio Abad. The area would later receive the name of San Anton, a historically important part of modern Ponce. In 1712 the village was chartered as El Poblado de Nuestra Senora de Guadalupe de Ponce (The Village of Our Lady of Guadalupe of Ponce). The Municipality of Ponce sits on the Southern Coastal Plain region of the Puerto Rico, on the shores of the Caribbean Sea. It is bordered by the municipalities of Adjuntas, Utuado, Jayuya, Penuelas, and Juana Diaz. Ponce is a large municipality, with only Arecibo larger in land area in Puerto Rico. In terms of physical features, the municipality occupies a roughly rectangular area in south-central portion of the Island of approximately 10 miles (16 km) wide (east-to-west) by 13 miles (21 km) long (north-to-south). It has a surface area of 116.0 square miles (300 km2). The main physiographic features of the municipality of Ponce are: (1) the mountainous interior containing the headwaters of the main river systems, (2) an upper plain, (3) a range of predominantly east-west trending limestone hills, (4) a coastal plain, and (5) a coastal flat. The northern two-thirds of the municipality consists of the mountainous interior, with the southern third divided between hills, coastal plains, and the coastal flat. Ponces municipal territory reaches the central mountain range to the north and the Caribbean Sea to the south. 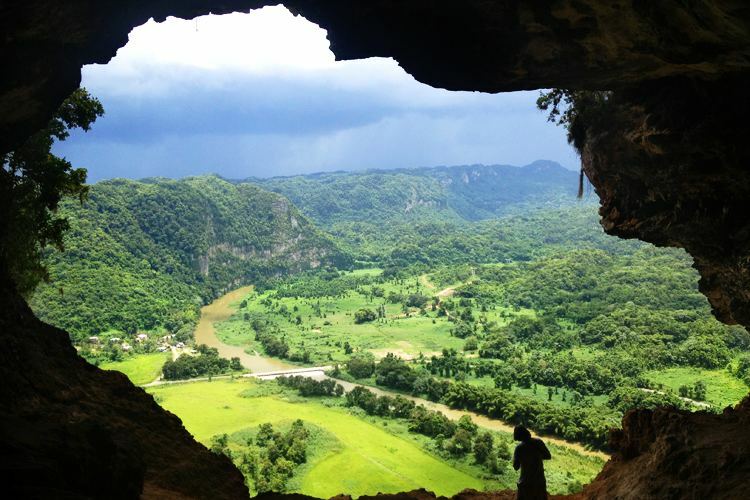 Geographically speaking, the southern area of the territory is part of the Ponce-Patillas alluvial plain subsector and the southern coastal plain, which were created by the consolidation of the valleys of the southern side of the central mountain range and the Cayey mountain range. The central area of the municipality is part of the semi-arid southern hills. These two regions are classified as being the driest on the island. The northern part of the municipality is considered to be within the rainy western mountains. Barrio Anon is home to Cerro Maravilla, a peak that at 4,085 feet (1,245 m) is Puerto Ricos fourth highest peak. Nineteen barrios comprise the rural areas of the municipality, and the topology of their lands varies from flatlands to hills to steep mountain slopes. The hilly barrios of the municipality (moving clockwise around the outskirts of the city) are these seven: Quebrada Limon, Marueno, Magueyes, Tibes, Portugues, Machuelo Arriba, and Cerrillos. The barrios of Canas, Coto Laurel, Capitanejo, Sabanetas, Vayas, and Bucana also surround the outskits of the city but these are mostly flat. The remaining six (6) other barrios are further away from the city and their topology is rugged mountain terrain. These are (clockwise): Guaraguao, San Patricio, Monte Llano, Maraguez, Anon, and Real. The ruggedness of these barrios is because through these areas of the municipality runs the Central Mountain Range of the Island. The remaining barrios are part of the urban zone of the city. There are six barrios in the core urban zone of the municipality named Primero, Segundo, Tercero, Cuarto, Quinto, and Sexto. They are delimetered by streets, rivers, or major highways. For example, Barrio Tercero is bounded in the north by Isabel Street, in the east by the Rio Portugues, in the south by Comercio Street, and the west by Plaza Las Delicias. Barrio Tercero includes much of what is called the historic district. There is a seismic detector that the University of Puerto Rico, Mayaguez Campus, has placed in Barrio Cerrillos. Due to its historical importance throughout the years, Ponce features many points of interest for visiting tourists. The downtown area contains the bulk of Ponces tourist attractions. Tourism has seen significant growth in recent years. In 2007, over 6,000 tourists visited the city via cruise ships. Passenger movement at the Mercedita Airport in FY 2008 was 278,911, a 1,228% increase over fiscal year 2003 and the highest of all the regional airports for that 5-year period. Though not all of these were tourists, it represents a volume larger than the population of the city itself. To support a growing tourist industry, around the 1970s, and starting with the Ponce Holiday Inn, several hotels have been built. Newer lodging additions include the Ponce Hilton Golf & Casino Resort, home to the new Costa Caribe Golf & Country Club, featuring a 27-hole PGA championship golf course. The Melia Hotel has operated in the city continuously since the early 20th century. The Intercontinental Hotel, which opened in February 1960 and closed in 1975, is under refurbishment and expected to re-open atop the hill near El Vigia as the Magna Vista Resort. Other hotel projects in the works include the Ponce Plaza Hotel, Four Points by Sheraton, and Marriott Courtyard, among others. The downtown Ponce Ramada Hotel plans to add a casino to its 70-room structure. 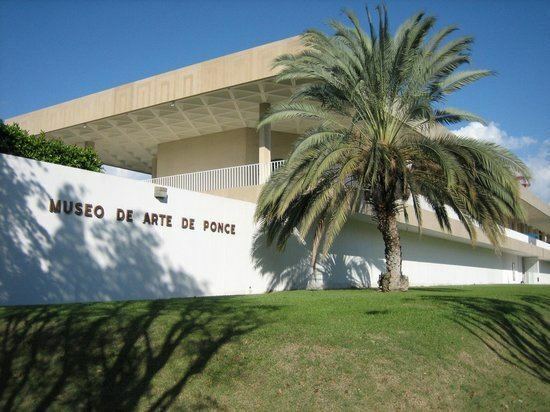 Ponce is part of the Government of Puerto Ricos Porta Caribe tourist region. "Poncenos have always been a breed apart from other Puerto Ricans. 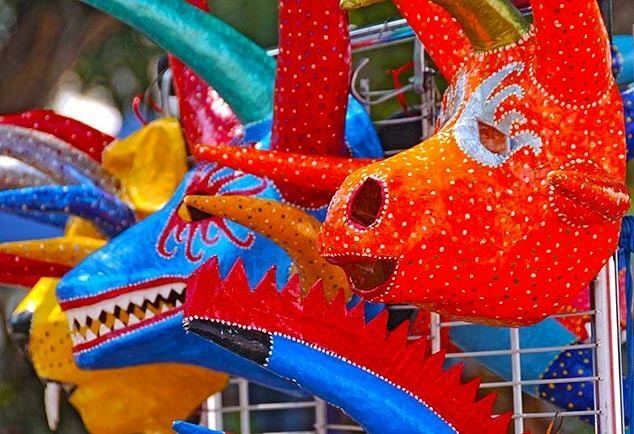 Their insularity and haughtiness are legendary, and some Puerto Ricans claim that even the dialect in Ponce is slightly different from that spoken in the rest of the Island. They are also racially different: youll see more people of African descent in Ponce than anywhere else in the Island except Loiza." Others claim that Poncenos exhibit considerable more civic pride than do residents of other locales. Luis Munoz Rivera, the most important statesman in the Island at the close of the 19th century, referred to Ponce as "the most Puerto Rican city of Puerto Rico." Traditionally the citys economy had depended almost entirely on the sugar cane industry. Since around the 1950s, however, the towns economy has diversified and today its economy revolves around a mixed-industry manufacturing sector, retail, and tourism. The building of a mega port, anticipated to be completed in 2012, is expected to add significantly to the areas economy. Agriculture, retail, and services are also significant players in the local economy. It is considered an agricultural, trade, and distribution center, with manufacturing that includes electronics, communications equipment, food processing, pharmaceutical drugs, concrete plants, scientific instruments and rum distilling as well as an established gourmet coffee agricultural industry. The city, though, suffers from an unemployment rate that hovers around the 15 percent mark.